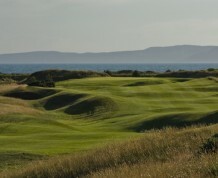 Unlike many links courses where the sea is almost completely hidden by massive sandhills or where the course itself is a long way from the sea, at Western Gailes you are always aware of its presence and beauty. 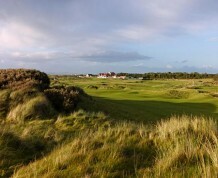 The course puts no more emphasis on length than it does on the delicate approach shot or the well-struck medium or long iron, but all these skills are examined during a round at Western Gailes. 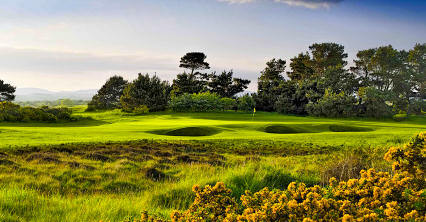 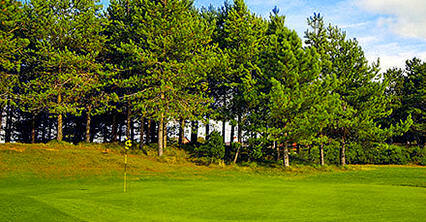 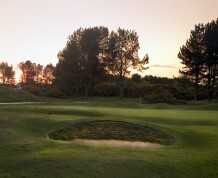 Western Gailes represents to the true golfer, to the connoisseur of the game, something approaching the ideal in golf. 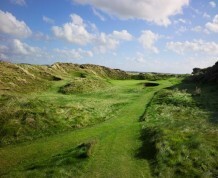 True, there are more severe golfing tests, there may even be courses better groomed with more palatial clubhouses and possibly, though improbably, a more forthcoming and friendly membership. 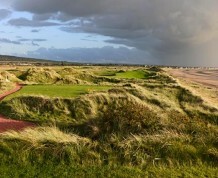 But few have so many of the good things of golf as Western Gailes. 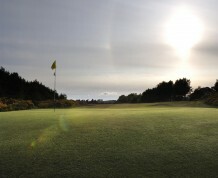 Perhaps that is why it has captivated so many golfers for so long and will continue to do so. 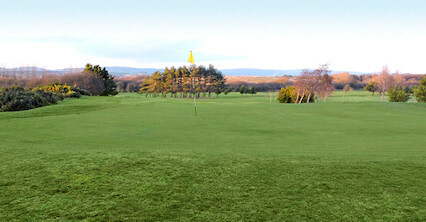 Just off the A78, three miles north of Troon.